BUSINESS coach Tania Adams is the founder of crAzy™ always wins pty ltd, a Port Alfred based strategic business consulting firm, intent on changing the world. The highly experienced crAzy™ crew focus their attention on growing their clients’ businesses using their expertise in business strategy, human resources and sales and marketing. The organisation, which takes corporate social responsibility seriously, has a dedicated crew member responsible for raising awareness of local community challenges and finding solutions to problems in Ndlambe. The organisation centres it’s ethos on the upliftment of local community through promotion of entrepreneurialism, sustainable living, education, skills development, and being an advocate for the more vulnerable aspects of society, especially the youth. Part of crAzy™ always wins’ objective is to educate the local community on a wide spectrum of interesting topics and while doing so, get the community together to network and meet other like-minded, driven and passionate people that want to make a change in the world. Next Tuesday, crAzy™ always wins will be hosting a fundraiser for Port Alfred SPCA at the Royal Port Alfred Golf Club from 6pm-7pm. The event will host local domestic and wildlife veterinarian and SPCA representative Leon de Bruyn of Port Alfred Vet Clinic, who will present an educational talk on animal care. Following De Bruyn, guests will also enjoy an uplifting motivational talk by Adams. “We would like you to join the community of Port Alfred in supporting this local charity event where all ticket proceeds will be donated to the SPCA,” said coordinator and junior consultant Annamie Robertson. The entrance fee will be R50, and anyone willing or able to donate dog food, blankets or any extras are welcome to, and can donate at the event. All proceeds will be handed over at the event to the SPCA. Following the event there will be an opportunity for guests to enjoy snacks, meet the speakers and socialise with the crAzy™ crew. crAzy™ always wins will be hosting four events per year and would like to invite the community to attend future talks as to contribute to local charities. 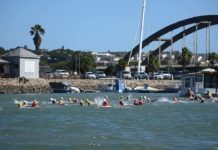 “We would like to get as many locals and companies to get involved as we feel that the only way to make Port Alfred and the world the positive, caring environment that we want to live in is to help make it happen,” said Robertson. “As an organisation we look for people who are crAzy™ enough to believe that they can change the world and want to change it consciously,” said Adams. Bookings are essential as seating is limited. Please visit www.eventbrite.com/e/crazy-about-animal-care-tickets to book online and find more information, or visit www.crazyalwayswins.com to find out more about how crAzy™ always wins operates. 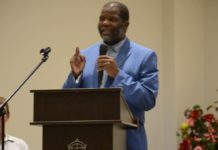 “We cannot keep reading, speaking and hearing about poverty, violence, child welfare issues and seeing a community in need of support, education and upliftment without taking action in any way we can as members of the community,” Robertson said.